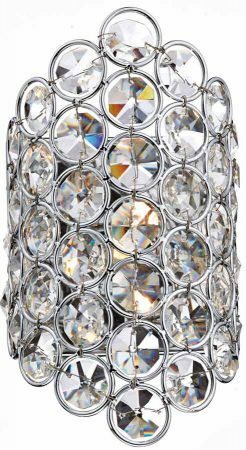 An unusual flush fitting wall light fitting, with a chrome wall mount holding a curved frame shade embossed with masses of faceted clear crystal beads for a stunning lighting effect. The wall bracket has a discrete rocker switch fitted for your convenience and is supplied with a bright 40 watt halogen light bulb for maximum light output. 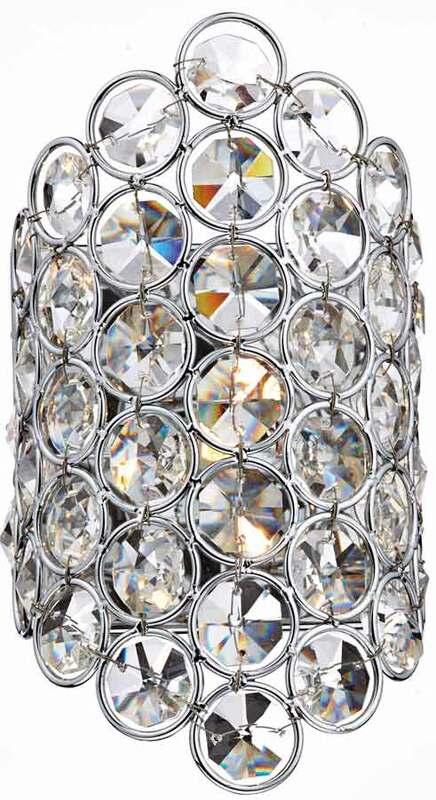 Other products in the Frost range can be viewed below and include a two lamp switched wall light, flush fitting ceiling lights, pendant lights and a matching table lamp.